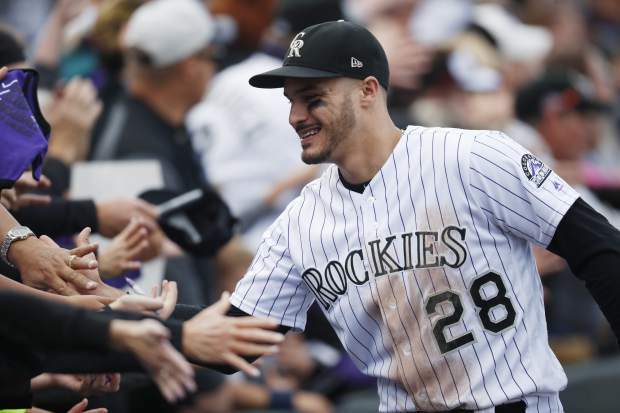 SCOTTSDALE, Ariz. — The sluggish free-agent market the last two years has not scared Colorado third baseman Nolan Arenado, who could be among the most prized players after this season. “I think it always worries you, but at the same time I have bigger things to worry about,” Arenado said. “I’m trying to do my job at a high level and that’s it. Everything else can take care of itself. “There are some really good baseball players out there, and it is crazy to think some of these teams don’t need them. They need them. There is no question that they do,” Arenado said. “They are just deciding not to, I guess.